Soccer fans across the world have been treated to a remarkable World Cup thus far, dominated by unpredictability and upsets. The Round of 16 was no different. From dramatic last-minute goals and goaltending mastery to the all-too-infamous diving antics, here are the highs and lows of the Round of 16. Soccer fans across the world have been treated to a remarkable World Cup thus far, dominated by unpredictability and upsets. The Round of 16 was no different. From dramatic last-minute goals and goaltending mastery to all-too-infamous diving antics, here are the highs and lows of the last 16. As the lowest-ranked country entering the tournament, it's safe to say that not many people expected Russia to advance to the knockout stage. 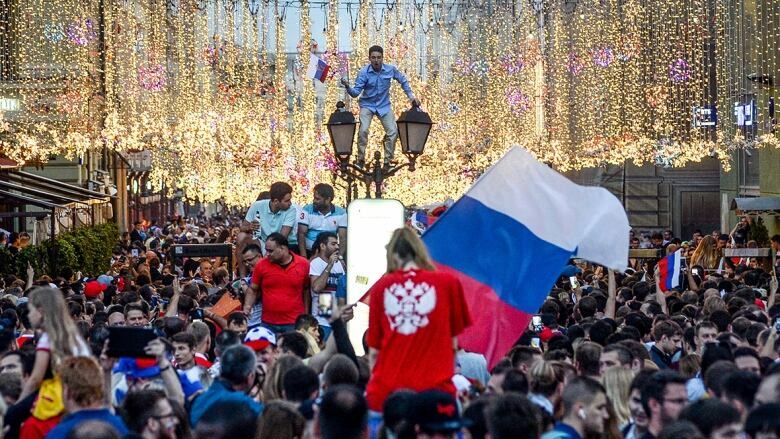 Even less expected was for the Russians to beat 2010 champion Spain, a perennial favourite at every tournament. But here we are. 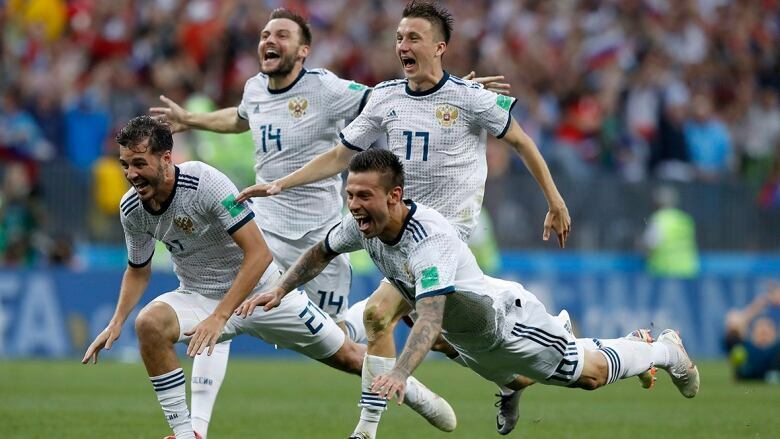 After holding on for dear life and scoring on its only shot on goal (on a penalty), Russia defeated the Spaniards in penalty kicks. The host nation faces Croatia in the quarter-finals on Saturday, and for Russian fans, every victory from here on out is gravy. Witnessing Germany go out in the group stage was a shock to all soccer fans, considering its dominant performance in winning the championship in 2014. And the Germans were no slouch this year either, with a powerhouse team capable of winning back-to-back World Cups. But they weren't the only ones making an unpredictably early exit. Spain's loss to Russia was just as surprising, while Poland's group stage disaster also raised eyebrows. As well, superstars Cristiano Ronaldo and Lionel Messi couldn't get over the hump, as both Portugal and Argentina fell in the Round of 16. With the 2014 and 2010 World Cup winners sent packing, it opens up the field for a potentially new champion. Of the eight teams left in the competition, four have won before (England, France, Brazil, Uruguay), while four squads will be looking to write their name into the history books for the first time (Russia, Sweden, Belgium, Croatia). How often can it be said that goaltenders save half of the shots in a penalty shootout? That's exactly what happened in the dramatic Round of 16 match between Croatia and Denmark on Sunday. 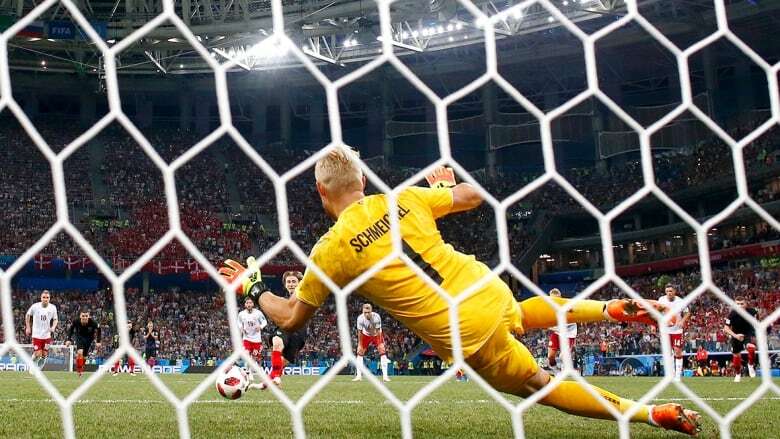 Before the shootout, Danish keeper Kasper Schmeichel was forced to save a Luka Modric penalty in extra time when Ante Rebic was taken down in the box. Not to be outdone, Croatian goaltender Danijel Subasic made three saves on five shots in penalties, leading the Croatian side into the quarters. It was heartbreak for Denmark, but Schmeichel's goaltending performance, including the save to get his team to penalties and another two in the shootout, will long be remembered. 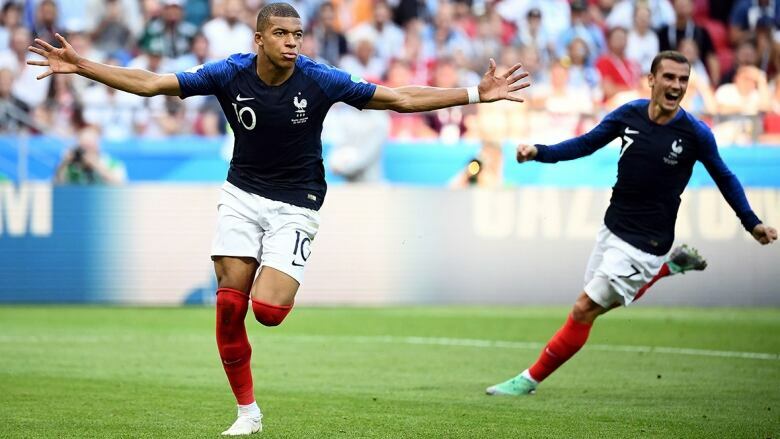 At age 19, French star Kylian Mbappe is the youngest player left at the World Cup. He's also one of the fastest. His quick-strike capabilities were on full display in France's 4-3 victory over Argentina in their Round of 16 tilt on Saturday. After drawing a penalty in the 11th minute, Mbappe scored two goals in just four minutes in the second half, virtually solidifying the win. The World Cup has been a coming-out-party for the Paris Saint-Germain forward, but he'll need to be on the top of his game when France meets Uruguay in the quarter-finals on Friday. Originally considered a dark horse in the World Cup, Belgium stormed to the top spot in Group G after defeating England in its final group stage match. That set up a Round of 16 match with Japan, who squeaked into the knockout stage over Senegal because of fewer yellow cards. Regardless, things were looking great for the Japanese side three quarters into the match, with excellent strikes from Genki Haraguchi and Takashi Inui earning the team a 2-0 lead. But it wasn't to be for the Japanese. 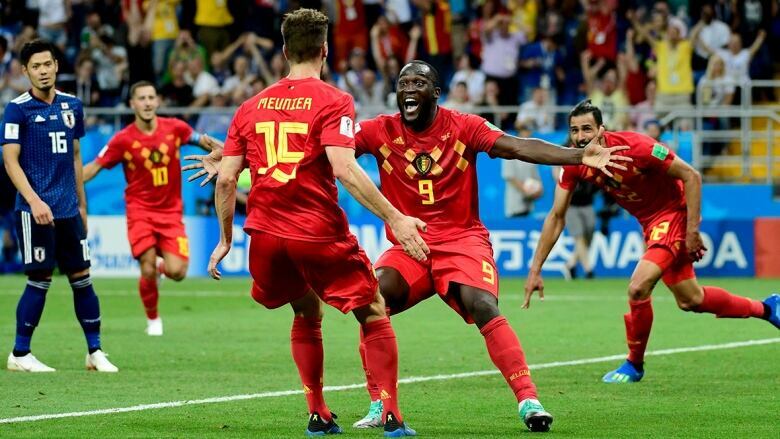 Three goals in the final 21-plus minutes vaulted Belgium into the quarter-finals, including a dramatic 94th minute game-winner from Nacer Chadli. Aside from a seven-goal performance between France and Argentina, this was probably the best match of the tournament so far. Neymar Jr. is the backbone of a strong Brazilian team, and will be relied on if the country hopes to win its sixth World Cup. But while his scoring and playmaking abilities are lauded, his blatant flopping has been getting him attention for all the wrong reasons. For starters, Neymar's diving has turned him into an Internet meme. It has also earned the criticism of soccer fans worldwide, including Mexican coach Juan Carlos Osorio. "We had control of the match, but to me it is just shameful that so much time could be lost over one player," Osario said after his team's 2-0 defeat to Brazil in the Round of 16. "The delay for one player was even four minutes, and that is a lesson for even children who play. This should be a game of men and not so much clowning around." 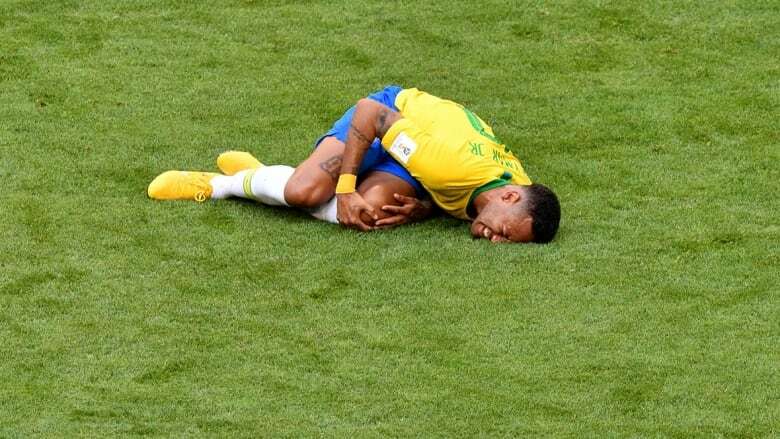 In total, Neymar has spent 14 minutes rolling on the grass during this World Cup. Brazil gets Belgium in their quarter-final match on Friday. Things threatened to get out of control in England's Round of 16 victory over Colombia on Tuesday. 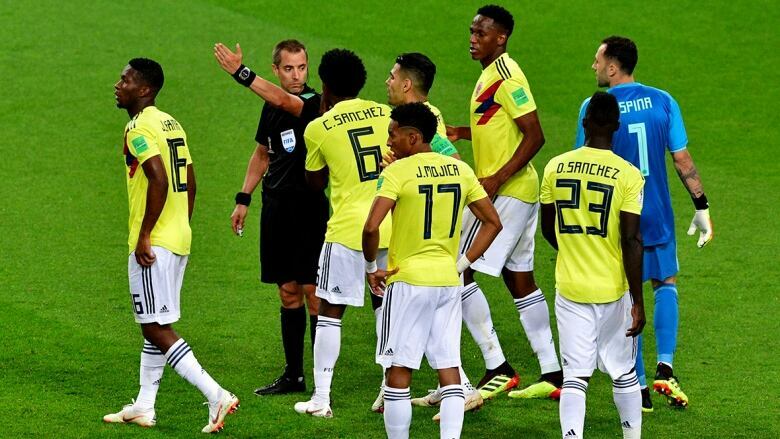 Colombian players frequently swarmed referee Mark Geiger, with as many as seven players getting in his face at certain points. As well, Colombian players scuffed the penalty spot prior to Harry Kane's goal, which didn't help the cause. Geiger appeared to lose control of both sets of players for a large portion of the match. The game ended in dramatic fashion, with England defeating the South American side in penalties to spoil a fantastic tying goal from Yerry Mina in the 93rd minute. With quarter-final action set to begin on Friday, teams from the final eight countries will hopefully treat soccer fans to as many dramatic moments as there were in a remarkable Round of 16.